Eric's pondering and musings from Brooklyn, Boston, and wherever life takes me. : 5 Cents and some sunshine. I've been walking to work as it gets colder. I'm not a big fan of the amount of time it takes, but when I get out of the office at 5:00, it is dark. If I don't walk to work, then I spend my entire day seeing just 10 minutes of daylight. I have a feeling that this will impact my mood and my waistline in the long run. During my walk today, I found five pennies on the sidewalk. They weren't all together, but were spread out. Now they are all warm and cozy in my back pocket. The pennies in my back pocket remind me of my family and friends. Although we are far apart sometimes, we get together on occasion to share some love and warmth. Saturday, I found a penny and a dollar on the floor in DSW shoe warehouse. That combined with coupons and the good sale made for a good mood. I was able to get warm boots for my fiance, David, and something for his brother's birthday this week. 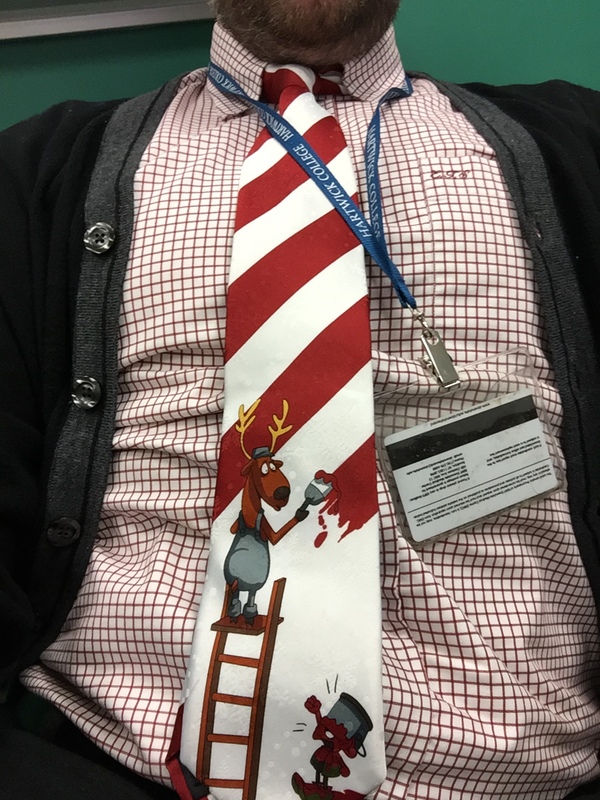 I dug out my first Holiday tie today. I have a dozen or so that are all gifts from my mom. I wear them starting the day after Thanksgiving and through the entire season. 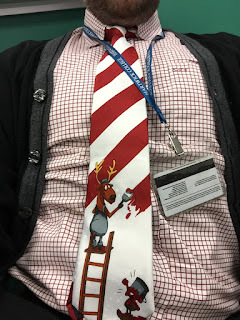 One of favorite ones had to be retired after getting seriously stained. It had the three wise men on it and could be worn through the 12 days of Christmas until epiphany. Leading up to Christmas, I hope you all remember the gifts you have been given. I'm thankful for the gifts in my life. I'm also thankful for my family, even if we won't get together for Christmas. I'm also hoping that you all find laughter, joy, and warmth with your friends and family.